Edmund Burke was one of those rare figures who combined profound political-philosophical observation with a highly active political career. After he entered Parliament, almost all of his writings and speeches addressed some sort of pressing public policy concern, yet these works also form the major part of the basis for most interpretations of his philosophic thought. Although Burke’s policy focus provides a great deal of material for political historians and biographers, it poses challenges for political theorists, who must tease political philosophy out of works which were not explicitly written as such. But, it also offers important advantages. For one thing, one might argue that Burke’s public career helps keep his thought attuned to “realworld” issues in all their messiness and complexity, and forces him to consider information which more speculative thinkers might disregard. More significant for our immediate purpose is the fact that Burke’s writings and speeches clearly demonstrate the application of particular political-philosophical perspectives to public policy questions. In the past few years, the subject of empire has received heightened interest from both a philosophical and public policy perspective. Questions of empire also dominated much of Burke’s career. It therefore makes sense to turn to Burke when looking for wisdom on such matters. The temptation must be avoided, however, to look to Burke for formulaic solutions to contemporary questions, or to characterize his views with a broad brush. Burke was neither a champion nor an opponent of empire in the general sense (or of the British Empire, in a more specific sense). His concern was with the specifics of how particular British possessions were administered. But, it is Burke’s attention to detail which helps to make his approaches to policy questions philosophically rich, rather than ideological. Whatever popular customs of heathenism were found to be absolutely not incompatible with Christianity, were retained; and some of them were continued to a very late period. Deer were at a certain season brought into St. Paul’s church in London, and laid on the altar; and this custom subsisted until the Reformation. The names of some of the church festivals were, with a similar design, taken from those of the heathen, which had been celebrated at the same time of the year. Burke clearly approves of the manner in which the religious conversion was accomplished; he goes so far as to state that the Pope’s policy revealed a “perfect understanding of human nature.” If anything Burke may actually overstate the seamlessness of the transition to Christianity and the melding of the Christian and the pagan; this subject clearly captures his imagination. Why should this be so? For one thing, the incremental change involved in the conversion would seem to fit in well with the usual idea of “Burkean conservatism.” But a problem exists in that “Burkean conservatism” is typically associated with the belief that traditional knowledge and practices are, as a general rule, superior to new schemes. It is certainly not the case here that Burke could believe that the old paganism was superior, or even equal to, Christianity. His belief in and support for Christianity is evidenced throughout his works. While a few commentators have questioned the sincerity of Burke’s religious convictions, the vast majority have not; J. G. A. Pocock for example maintains that “the point at which his thought comes closest to breaking with the Whig tradition to which he deeply belonged was that at which he articulated his concern for clerisy. Burke’s religiosity—his awareness of the sacred, of the need for transcendent moral sanctions—was real.” Moreover, just a few paragraphs earlier in his discussion of the conversion of England Burke remarks that Christianity confers “inestimable benefits on mankind” and that it helped change the “rude and fierce manners” of the Anglo-Saxons. Of course, one may construct an argument that belief in the superiority of Christianity to paganism is not inconsistent with Burke’s approval of the gradualness of the transition. Such gradualism appears to be a key component of “Burkean conservatism.” Because of the limitations of human reason, we cannot be sure how new schemes will play out; therefore, change should be incremental. However, a problem exists with this model as well. The standard “limitations of human reason” argument is generally used to oppose the sudden adoption of new, untested “rationalistic” schemes. That is, the model is generally understood to argue for respect for tradition, and for caution regarding the implementation of new plans or ideas for society. Christianity, however, was no new scheme; it was, in fact, a tradition, with centuries of experience behind it by the time of its introduction into England. It had been time-tested and, to a degree, had evolved and developed over time. Since Christianity had already been long proven and was not some new idea which had just been cooked up by armchair philosophers, there would presumably be no reason why it should be introduced into England in a cautious, incremental manner. Why then should Burke take a conservative or gradualist position regarding the introduction of Christianity, and even approve of the admixture of presumably inferior pagan elements? Fortunately, Burke states quite plainly why it was desirable to ensure a gradual transition and to retain aspects of paganism wherever practical. Abrupt changes were avoided “in order that the prejudices of the people might not be too rudely shocked by a declared profanation of what they had so long held sacred.” The danger Burke perceived lay not in Christianity itself as an untested scheme, but in the possible effects of any attempt to disrupt the pagans’ existing worldview. The “prejudices” of the people had grown up over a long period of time in the context of belief in a particular cosmological order and in the context of specific practices related to that belief. Consequently, the sudden profanation of the sacred would have wreaked havoc on the community by undermining its basis for order and meaning. Pope Gregory, in Burke’s eyes, understood the importance of preserving the old framework, and took pains to minimize the disruption which would occur as a result of the change in belief system. This argument, it should be made clear, is quite different from the usual understanding of “Burkean conservatism.” Burke’s focus is not on the “objective” problem of whether or not the innovation is “good,” or whether the change is suitable for the circumstances at hand. His focus is on the subjective experience of the people. This emphasis on subjectivity is one key to Burke’s approach to fundamental problems of order, meaning, and the good. What informs Burke’s discussion of the conversion of England informs his politics and writings in general. 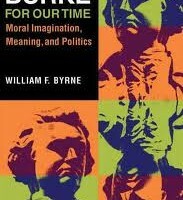 This is a concern for what contemporary writers such as Charles Taylor have referred to in other contexts as “horizons of significance.” Taylor’s term, however, might be understood as referencing explicit religious, moral, or teleological beliefs only, and Burke has much more than this in mind. In the above discussion Burke’s concern is not limited to the gods in which the pagans believed and any explicit moral codes which may have been directly associated with that belief. He is concerned about the rites, the practices, the physical structures, the geographical locations, the calendar, and various other elements which were present in the pagan religious culture. All of these elements worked together to give the pagans a sense of the sacred and to form a framework of order and meaning which shaped their lives. Without this framework the ordered lives and society of the pagans would presumably collapse. The retention of so much paganism, which Burke regards so positively, might make some Christians uncomfortable. Objections could be raised that it would compromise, corrupt, or, at least, needlessly encumber Christianity. If Christianity’s truth and benefits are acknowledged, then, one might argue, it must follow that only the “purest” form of it should be pursued. Burke, however, sees things differently. For him the approach to the true and the good is not simply intellectual in character but broadly experiential, and involves much more than a conscious rational assent to certain propositions. This favoring of the experiential over the “rational” should not be taken to suggest that Burke is a radical skeptic, that he rejects reason or universals, or that he is less than fully committed to the true and the good. This subject will be taken up in some detail later, when it will be argued that Burke in fact possesses a greater sense of the sacred and a deeper appreciation of the search for what is true and good than do many of his critics. The battle for our future is being fought within the imaginations of men. This has always been so. 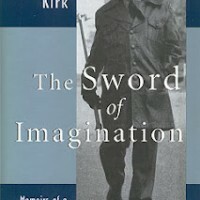 Russell Kirk explained: “All great systems, ethical or political, attain their ascendency over the minds of men by virtue of their appeal to the imagination; and when they cease to touch the chords of wonder and mystery and hope, their power is lost, and men look elsewhere for some set of principles by which they may be guided.” Today, with atheistic secular humanitarianism large and in charge, many fear that we may fall prey to immoral forces; avarice, envy and tyranny. Competing with the moral imagination are three deviant imaginations. The first is the idyllic imagination which believes that man can emancipate himself from all duty, honor, decorum, and standards and simply escape into an endless stream of exciting sensation and sensuality. The idyllic imagination is utopian and materialistic. It falsely believes that if we could simply construct the correct set of laws, it wouldn’t matter whether men were good or bad. Vigen Guroian adds a closely related second; the idolatrous imagination, which turns vanity into virtue and fixates on famous false heroes from sports, music, movie and television who’re often prepackaged and piped into our culture by mass marketing. Rather than innocently enjoying these entertainments in their proper perspective, obsessions with ‘the cult of the colossal’ crowd out not only worthy heroes, but also lost is valuable leisure time in which an individual’s genuine and optimal personality can be cultivated.